Cliffs Natural Resources has adjusted the terms of reference for its proposed Ring of Fire mine, meaning First Nations are again being asked to provide comments and concerns. Yet at least one First Nation argues that the government should deal with an outstanding Treaty issue before expecting it to comment on the new terms of reference. First Nations were provided with Cliffs’ amended terms of reference on Nov. 30, and given 15 days to respond. Neskantaga Chief Peter Moonias said that while he wants to respond to the terms of reference, situations within his community and his family mean there is not time to do so before the date that Ontario has set. Moonias also said Ontario should deal with Neskantaga’s request for mediation on the terms of reference before expecting First Nations to respond to the amended version of the terms of reference. Neskantaga filed a request for mediation on Cliffs’ terms of reference on Sept. 27. 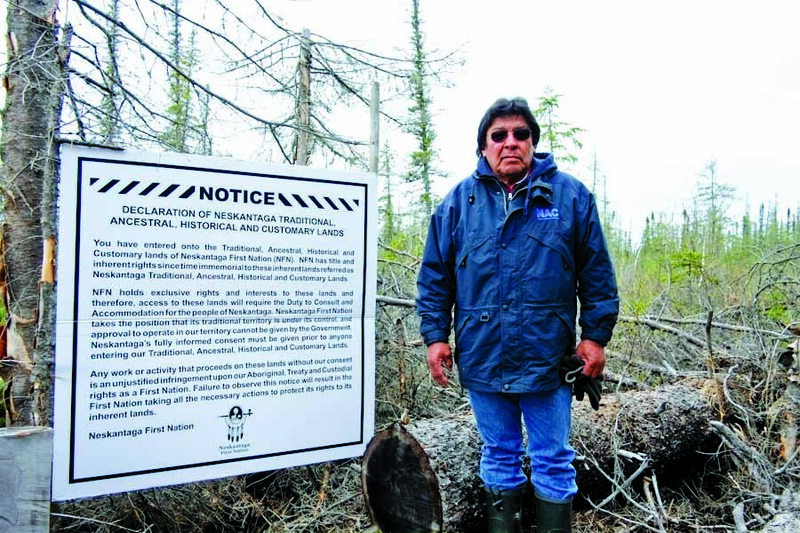 The First Nation was requesting Ontario Ministry of Environment (MOE) Minister Jim Bradley refer the terms of reference to mediation where the company, First Nation and government would be at the table. An Ontario Environment spokesperson told Wawatay News on Dec. 6 that the minister is still considering the request for mediation. But Neskantaga, which has already submitted comments on Cliffs’ initial terms of reference, argues that the minister should make a decision before it is required to submit more comments to the company about the environmental review process. Cliffs informed Ontario on Oct. 12 it was going to take “a time out” from the environmental review process to amend the terms of reference in response to comments it received. Once the company submits its amended terms of reference to the provincial government, the minister will have eight weeks to make a decision on the terms of reference. His options are to either approve the terms of reference as submitted by Cliffs, approve the terms of reference with amendments, or reject the terms of reference. The terms of reference set the parameters under which the environmental review of the project will proceed.